Cape Town is one of the best places in the world to be in love. With ocean, mountain, forest, and beach surrounding the city on all sides, there’s a majestic view around every corner. Cape Town is also where you’ll find some of the best restaurants in the world, with beautiful settings. Here are our favourite restaurants for date night, where the romance flows like a good wine. Cassia is situated on the Nitida Wine Estate. The restaurant is light and airy with large windows. Choose a table near the windows for uninterrupted views of the farm dam and vines. The portions are generous and the food is fresh and seasonal—their famous pork belly with litchi-infused passion fruit glaze is bold and hearty, while the linefish and Jamaican flatbread is a unique and flavourful choice. 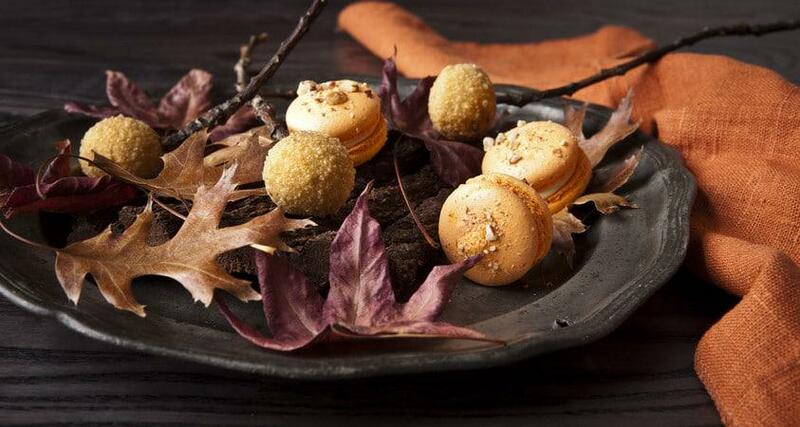 If you’re after a truly special meal, look no further than Waterkloof. It was rated the best restaurant in the country in 2018 and serves contemporary French-style fine dining. The restaurant looks out over expansive vineyards, with the impressive Hottentots Holland mountains rising up in the distance. 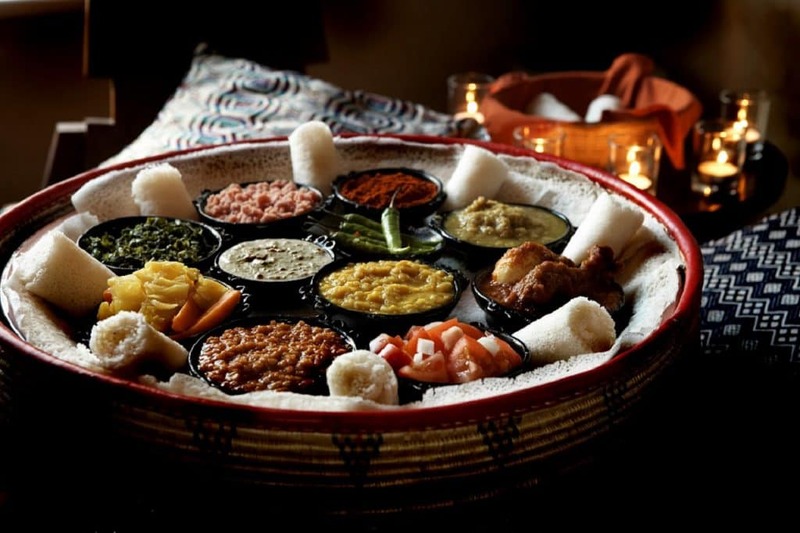 Addis in Cape is where you’ll find an unforgettable Ethiopian dining experience. The setting is cosy and intimate, with incense and candles to set the mood. Aromatic stews packed with flavour are served on Injera, a pancake-like base which you use to scoop up the tasty food. They’re also known for their traditional coffee ceremony, where coffee is served with popcorn. Don’t skip the Tej, a sweet wine made from honey. Chef’s Warehouse is set on the modern boutique estate of Beau Constantia. The seating is in a giant “glass box”, with floor-to-ceiling windows overlooking False Bay from its elevated position. Choose some tapas-style dishes to share with your date, enjoy the gourmet flavours of the carefully crafted menu. This intimate restaurant found in Kenilworth has long been a staple for Cape Town locals. The venue was originally an old house – built in the 18th century – and there are passageways leading into separate, cosy rooms. The outdoor courtyard is dimly candle-lit. The venue has an authentic, old Italian feel, and the menu has great pizza and pasta, as well as some heartier dishes like oxtail and steak. If you want your date to be a sensory journey through award-winning fine dining, head to the Greenhouse at Cellars Hohenhort. All dishes are inspired by local produce and reflect the multi-cultural flavours of South Africa. The kitchen’s unique creations change seasonally and rely on the availability of only the freshest produce, very often from the Greenhouse garden. Service is excellent, and the elegant ambience stes a great mood for the evening. The Silvermist Wine Estate is home to two great restaurants. La Colombe is a world-renowned fine dining restaurant. The views are fantastic and the food is brought to life with magical theatrical touches. The Green Vine Eatery is much more affordable, with a light and airy ambience. The Potluck Club is a tapas-style restaurant started by Luke Dale-Roberts, of La Colombe fame. Their Sunday brunch is a fine-dining set menu that kicks off at 11 am. Tapas platters are served with many delectable treats, and the restaurant looks out over Woodstock. With a veranda set on the slopes of Table Mountain National Park, the rumbling Atlantic in a thousand shades of blue sweeping the horizon for miles around, and sunsets to stir the soul, the fine dining at Azure Restaurant at The Twelve Apostles Hotel is sure to blow you away. We recommend the exquisite roast duck or the biltong and peppadew tart served with cucumber ribbon salad. The floor-to-ceiling windows and deck mean you won’t miss a second of the sunset. The restaurant is open every day for breakfast, lunch and dinner, as well as high tea. If you’re into authentic Thai food and some Asian fusion, then this is the place to be. The restaurants is housed in an old Cape-Dutch style building that dates back to the 17th century. It also has a romantic (and slightly creepy) backstory. Sometime in the 1840s a British soldier sought the hand of Elsa Cloete, who lived there with her family, but was refused by her father and banned from contacting her again. Elsa is said to have died of a broken heart. Every night an immaculate table is laid with silver, food, and flowers for the lost Elsa and her lover. La Mouette is the place to go for impeccable fine dining at a fraction of the cost. Their three- and six-course tasting menus are the way to go, with or without wine pairing. There is a leafy courtyard for outdoor dining, and they have tables by the fireplace for winter. Over two centuries old, the gorgeous 200-year-old Vineyard Hotel is situated in six acres of lush Newlands forest. There are 2 restaurants on the property, including the award-winning Myoga. Before dinner, you can wander through the award-winning gardens to set the mood. 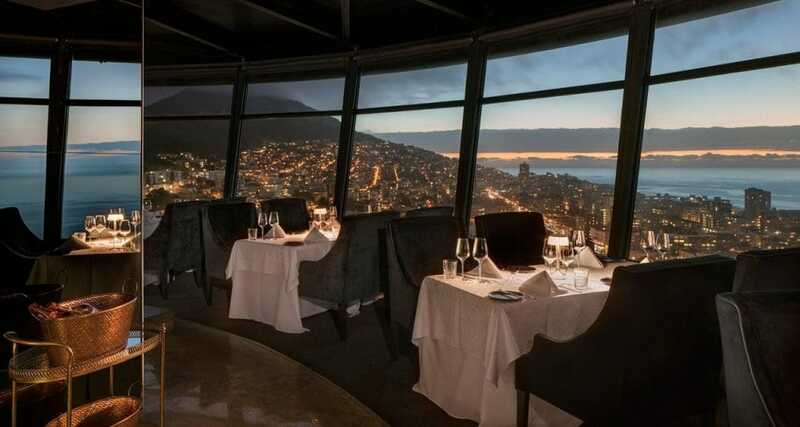 Perched on the 23rd-floor of the newly renovated Ritz Hotel, the Top of The Ritz is the only revolving restaurant in the Western Cape. This Sea Point gem has undergone some serious renovations and has become a must-visit spot on the Atlantic Seaboard. The restaurant’s views are exceptional and the food is just as impressive with a seven-course ‘Journey of Flavours through Cape Town’ on offer. Aubergine is set in an old building that’s said to date back to the 1980s. It is an award-winning fine dining spot that is known for the lightness and balance of its cuisine and the inventiveness of its flavours. The atmosphere is intimate and quiet—perfect for whispering sweet nothings. Bistro 1682 has an idyllic location on the Steenberg Estate. The dinner menu consists of tapas-style cuisine with a fine-dining flair. The wines made right on the estate are fantastic, and there are few better ways to spend an evening than by washing down fresh oysters with a glass of Steenberg MCC. Pigalle is one of the best seafood restaurants in Cape Town, and although it suits most tastes and budgets, it has a fine-dining flair. There is live music every night, making it a great dinner spot. The menu features classic dishes with a subtle Portuguese flair. Try the rich and delicious scallop starter. This is also where you’ll find langoustines and lobster cooked to perfection. The wine list is extensive, with everything from Dom Pérignon to popular local wines on offer. 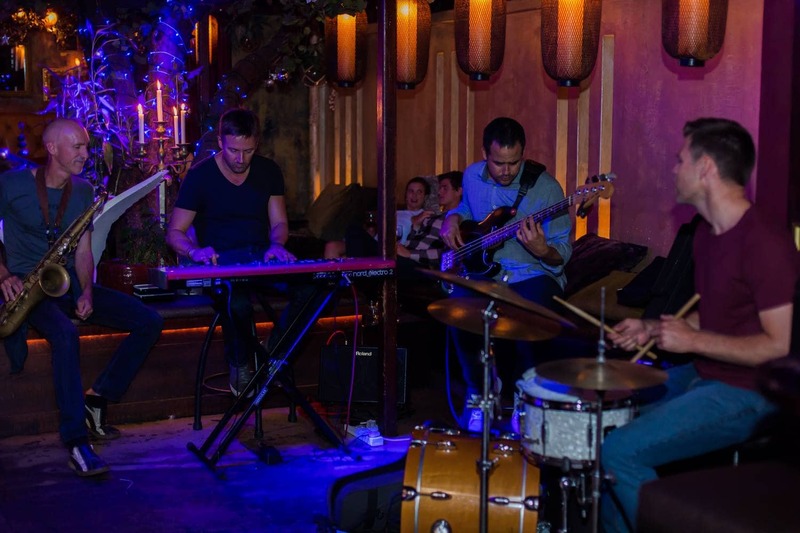 Asoka has live jazz sessions every Tuesday night. It’s a trendy lounge, bar and restaurant is a favourite among the city’s ‘in’ crowd, especially on a warm summer’s evening. Add to that some warm lighting and cocktails and you have a memorable evening out.